But then Case had to go and wreck the point by pointing to the existence of a calendar of “herp babes” — the 2011 Florida Girls of Herpetology Conservation Calendar (available here). The problem is that photos of women with snakes and other reptiles aren’t exactly uncommon; a calendar of women whose “reptile-related credentials are very impressive” runs the risk of lowering skilled herpers to the level of eye candy. Not that I’m opposed to eye candy; I’m opposed to the conflation of female participation and “look! babes!” — the kind of response I’d expect from a bunch of adolescent gamers to a girl attending one of their game nights. Only if there’s irony or high camp involved does this avoid being demeaning, and I haven’t seen any evidence of either. In other words, when women are seen as more or less the equivalent of a trade show model, there’s a problem. One that doesn’t do much to encourage more women to take up the hobby, or make those who are already in the hobby feel like they’re being taken seriously, I’ll bet. 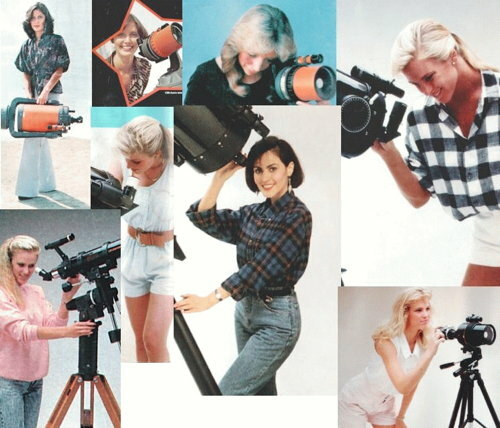 Clearly, the science-based hobbies have not had a good track record on the gender front. But it could be worse: it could be model railroading.